A MAN was left for dead on a suburban Ipswich street after he was struck by a truck in a hit-and-run incident. The 25-year-old east Ipswich man was hit by the truck on Brisbane Rd in Booval at around 8.30pm on Saturday night. Three ambulances and a trauma truck were sent to the scene near the intersection at Dudleigh St. However, they were unable to save the man who was pronounced dead at the scene. Police began the search for the driver of the truck who had fled the accident without offering assistance to the man police claim he struck. 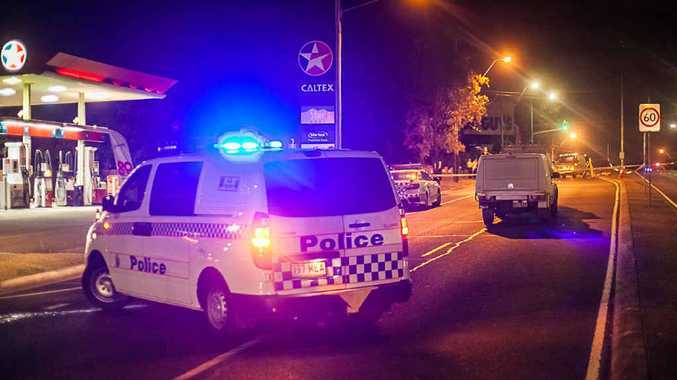 In the early hours of Sunday morning police arrested a 31-year-old Rothwell man in Brisbane and charged him with the pedestrian's death. The alleged driver is expected to appear at the Brisbane Magistrates Court this morning. He was charged with dangerous operation of a motor vehicle causing death and leaving the scene of the incident without obtaining help following a crash. Following the crash police initially called out for any public assistance in finding the driver of the truck. According to police the truck in question was a white Mercedes Benz with a blue tarpaulin covering the sides. Anyone with information regarding the alleged hit-and-run which could assist police with the matter should contact Crime Stoppers, anonymously if you wish, via 1800 333 000 or crimestoppers.com.au 24 hours a day.